The buysellads ad network is one of the best ways to make money with a blog and it’s one of the most lucrative ways to make money blogging. There are many bloggers out there who always search for best Google Adsense alternatives, and if you are one of them then let me tell you that you must try buysellads, because it’s the best way to monetize your blog. I am sure after reading Â BuySellAds Review you will Join and earn money Online. Earlier I have written how to make money with Google Adsense which is another popular advertising platform from Google to make money blogging, but I wanted to tell many bloggers who are unhappy with Adsense, also newbie bloggers who find hard to get accepted in their program and for experienced bloggers also get banned easily from their program. Well, I am not criticizing Adsense but for few niches Adsense works wonderfully but for others, it might not, including mine which is an internet marketing blog, make money online niches but luckily there are many other ways by which we can make money and buysellads is one of the best ways to make money online. 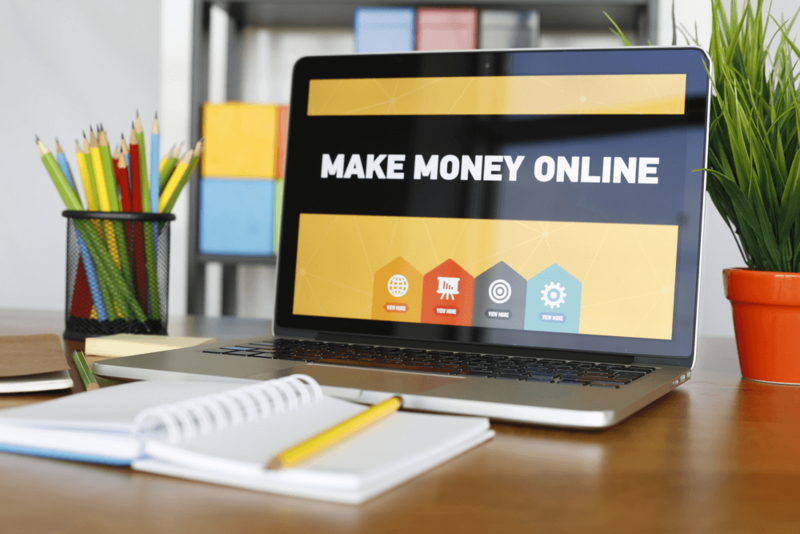 So in this post, I am going to write buysellads review which will give you an idea how buysellads work and what are their requirement to get accepted in their advertising network, since they are very strict in approving websites in their marketplace. Buysellads Â is operating since 2008 and is it’s an advertising network where publishers and advertisers meet with each other to buy sell ads i.e publishers like bloggers and webmasters can sell ads spaces on their blog and websites and advertisers will buy ad slots from publishers as simple as that. There are more than 20,000+ advertisers and 2,500 publishers in their network which makes it one of the biggest marketplaces to buy sell ads. 2) Why use Buysellads and why it’s worth using? Buysellads is one of the best ad networks for advertisers & bloggers since Google Adsense works will most of the niches but with certain niches like internet marketing you are not going to make much less money from Adsense. Since all the visitors know about ads so here buysellads comes into action instead of keeping your ad inventory empty. it’s better to use buysellads to make a good amount of passive income from your blog. 3) Is Buysellads free to use? Absolutely buysellads is free to use you don’t have to pay them to get accepted in their ad network, but as a publisher, you must first have an approved buysellads account to be included in their large marketplace. also, they will keep a percentage of the amount from your money which is 25% when advertisers buy ads slots on your blog or website. For Advertisers, buysellads is a great source to find potential bloggers and webmasters to promote their products and services by placing ads on publisher’s blog and websites. They simply have to select the blog in they are interested and might think that can give more exposure to their products and services and then buy the ad spot provided by the publishers for a certain amount of fee. For Publishers like bloggers and webmaster we simply have to submit our best blogs to their marketplace and when any advertiser find our blog interesting they can buy your mentioned ad spots for a fee. The fee is decided by the blog owner or webmaster. But prior to this, they have to get approval from buysellads team to approve their blog so that their blogs can be listed in Buysellads marketplace. Buysellads payment system is very secure and guaranteed and you don’t need to do any hassle for this, they will do it for you. As a blogger, once your ad slot is sold the advertiser will pay the amount and that amount will be there in buysellads until your wish to withdraw them. So you don’t need to worry that you will not get the payment in time! you will definitely but as said earlier buysellads cut’s a commission of 25% which is fairly good as they are taking care of all the process of bringing advertisers to your end and It will save a lot of time for us. With wire transfer minimum threshold is $500 which means you can withdraw money only after when you buysellads account has a balance of $500 and above. How to Apply for Buysellads Direct Advertising Ad Network? If you are a blogger or webmaster then you have to fill a form with few details about yourself and about your blog then click submit. After this, you have to wait for a few days to get the notifications about your application of whether your blog is accepted or rejected. If you are rejected then don’t think that you cannot apply for it again, you can definitely apply again after improving your blog traffic. Since buysellads is very popular ad network for direct advertising, many bloggers find hard to get accepted in their marketplace so in the next post I am going to share few tips on how to get buysellads ad network approval so stay tuned.